It's more than just raw meat! Arguably some of New Zealand's best Beer Engineers (aka Panhead Ales) are taking over an Oxford Street institution (Brighton UP Bar) every Thursday in April for The Workshop. 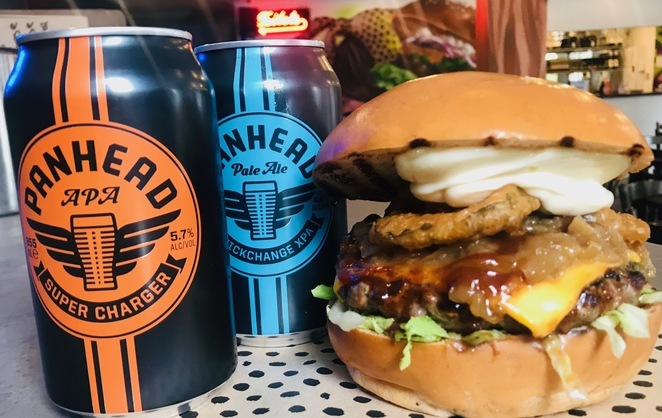 Panhead has long been considered some of the world leaders in experimental flavours and arguably pioneers in the craft beer world, in NZ, Australia and the USA alike. Travelling extensively through the states, it was the most common international craft beer I came across and rightly so. From there excellent can design with the alluring beer with wings, to the contents, which can only be described as sensational. Brighton Up Bar, I think most Sydneysiders would have ended up here (at least those who remember the good ol' days pre-lock out laws) on a night out in Kings Cross or Oxford Street. 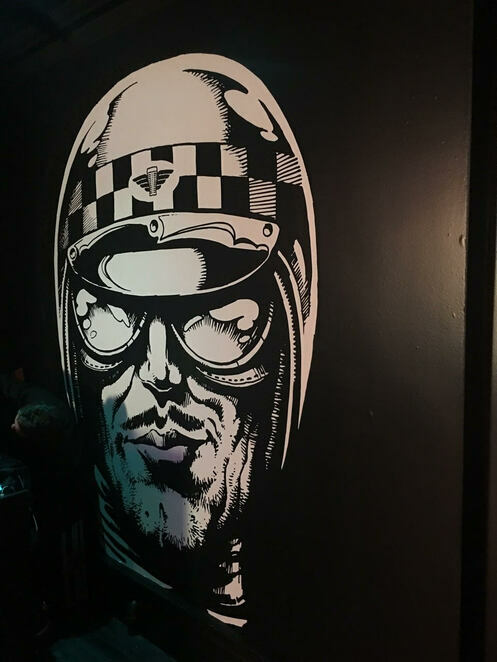 It is a delightfully notorious venue for some cheeky late night beverages, colourful conversations and a hit of pool with friends and strangers alike. It also hosts the aptly named Lick Her Shop (the bottle shop attached to the pub). Where better to host a workshop on craft beer. 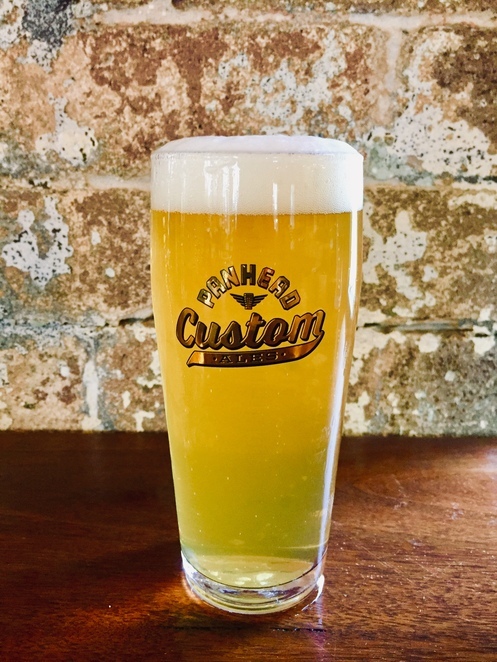 Not only that, they have released a special beer for the occasion - the 77 Oxford Pineapple Gose (named after Brighton Up bars' street address). For those of you who may be new to the world of Gose (pronounced Goes-uh), it comes under the banner of sours. Sours are beers that have had something else added to them often to spark a secondary fermentation. Sometimes fruit, sometimes they are aged in wine or sherry casks. Or to simply make it sour, without an additional flavour or to make them really sour, there is the addition of other bacteria (lactobacillus from milk). they range from slightly citrus or tart all the way through to super sour warhead, face puckeringly, cat's bum lips tart. There are lots of different varieties of sours, including American wild ale, gose, Berliner Weisse, red ale, lambic. Each having their own distinct brewing techniques, and flavour profiles. The gose are typically fermented with lactobacillus and fruit additional flavours. Sours go amazingly with rich or greasy food i.e. burgers, schnitzel and the like as the tart, crisp dry flavours pair really well with food. 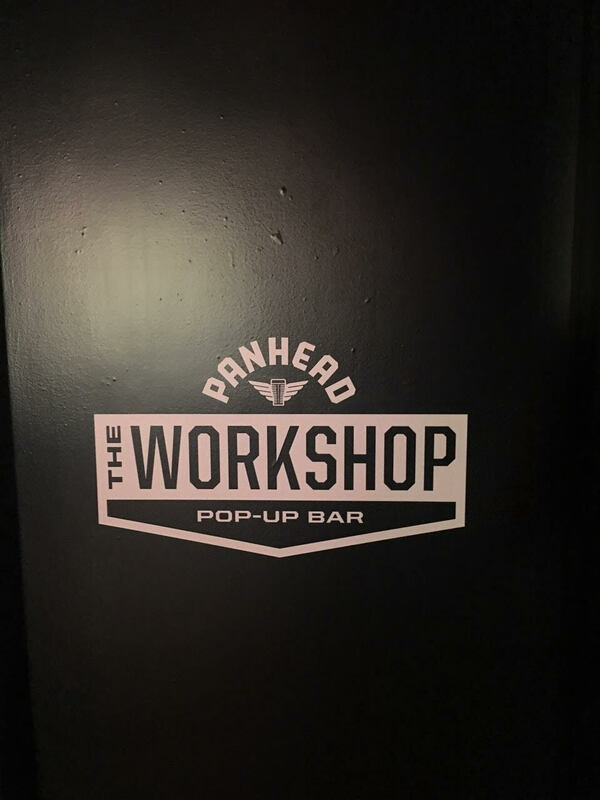 Come down and check out Panheads popup at Brighton Up Bar every Thursday in April! More articles by The Carpaccio Bros.
View all articles by The Carpaccio Bros.